Wow! 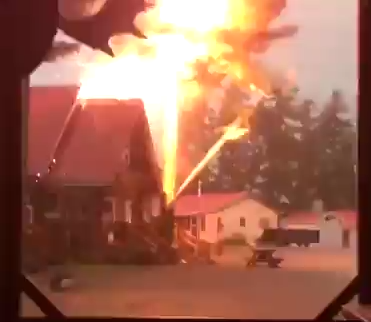 Lightning hit a pine tree in Canada. The scare was great! Half the tree came down!